The ubiquity of parking lots has…led to an overlooked social dimension: In the United States, parking lots may be the most regularly used outdoor space. They are public places that people interact with and use on a daily basis, whether working, shopping, running errands, eating, even walking — parking lots are one of the few places where cars and pedestrians coexist. Better parking lots would embrace and expand this role. Already, many lots provide space for farmers’ markets, spontaneous games of street hockey, tailgating, even teenagers’ illicit nighttime parties. This range of activities suggests that parking lots are a “found” place: they satisfy needs that are not yet met by our designed surroundings. Planned with greater intent, parking lots could actually become significant public spaces, contributing as much to their communities as great boulevards, parks or plazas. Other lots are described here. I’m not entirely sure that the features of these parking lots are all that redemptive when it comes to providing public space. Both seem to privilege the individual pedestrian’s experience over that of a larger social collective. But Ben-Joseph’s basic argument is a good one. As described elsewhere in this blog, an Intercultural Urbanism often sees, lying within the surface parking lot, a “hard plaza” capable of serving a variety of social and economic functions for cultural groups of varying sizes and with varying interests. Design guidelines for the project we’re following here in Denver at 9th and Colorado, however, certainly seem to exemplify the prevailing anti-lot bias. Walkability is the guiding design value at 9th and Colorado, but so too is “connectivity” and social interaction. The current guidelines cast surface parking as something to be disguised rather than embraced as active social space. 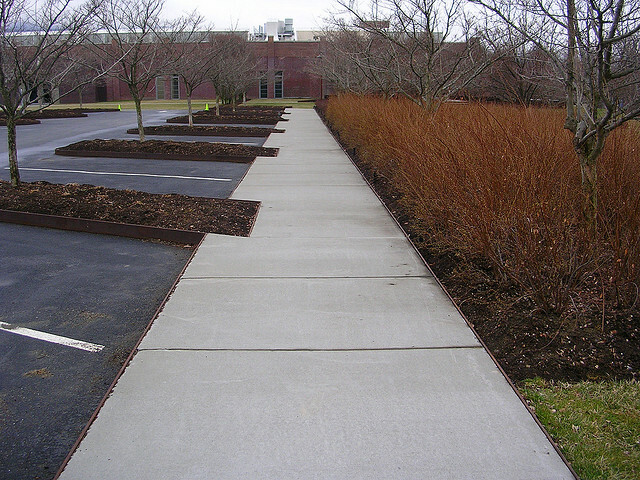 According to the guidelines, the parking lot’s “visibility” must be “reduced” and its “visual impact” must be “minimized” or “buffered” by streetscape and landscaping elements. It is forever destined to be “underutilized” until it can be redeveloped and replaced with something else. “Surface Parking” is categorized as conceptually and functionally distinct from “Publicly Accessible Open Space and Plazas.” Ben-Joseph does good work–as does Times architecture critic Michael Kimmelman in an earlier piece–by inviting us to think about whether the surface parking lot can’t be a whole lot more. The argument that parking can serve as critical public space is not a new idea. 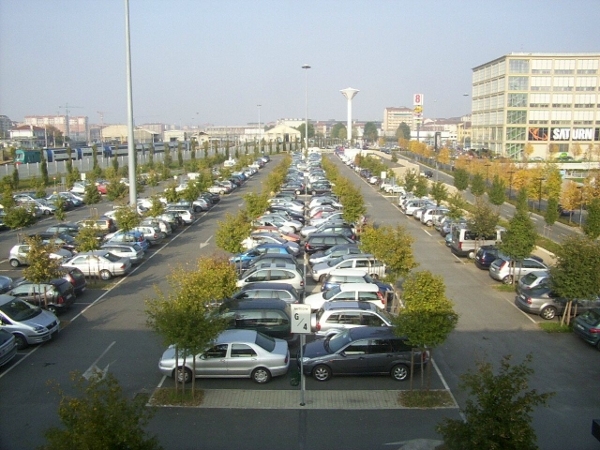 Plazas in Europe have accommodated cars for years. The US challenge is the scale and quantity of parking that is built and continues to be built. What good is a 10 acre plaza surrounded by single story strip mall structures? There are only so many events that can be held and so many people to attend them. Consider large spaces that are actually built for people such as the Forum built on the north end of Barcelona. It is awful unless it is accommodating a really large function. Let’s not romanticize the parking lot. I like it. I also like the solar panel ideal.